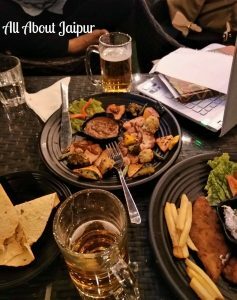 Food Review: Craving for a beer? 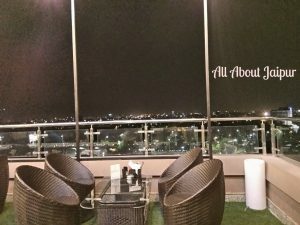 Head to beerlicious! If you’re looking for a place to have a beer and listen to some good music, head to Beerlicious! When you walk in through the doors of this wonderful joint you feel relaxed immediately. The cafe follows an ultra-modern theme with features like high rise bar stools, low rise coffee tables, filament light bulbs, digital graphic art walls and comfy, cushy chairs. We ordered the Chicken Aioli , Crumb Fried Fish and Chips and Kotsberg Beer. The chicken dish came with a plum sauce, the sweet and tangy taste of which went very well with the pieces of chicken and grilled veggies on the plate. The chicken however, was a little overcooked and rubbery but the spices were delicious and blended quite well. The Crumb Fried Fish was definitely the highlight of the night. 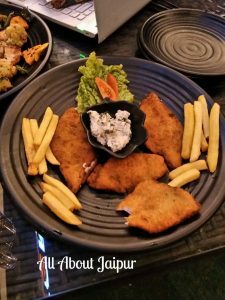 Thin slices of fish were lightly battered and served with french fries and a tartar sauce dip. The fish was fresh and the seasoning was perfect as well. I loved this dish so much that I repeated my order. 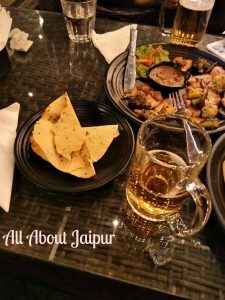 The beer was super refreshing and had a wonderful after taste.. This is the first time I had this beer and I must say it was delicious. 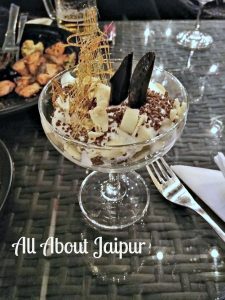 I also had the opportunity to try out their vanilla ice cream with white and dark chocolate shavings and a caramel sugar net which made the dessert quite ornamental. The taste of the dessert was pretty one dimensional.. the sweetness was a little overpowering and not well balanced with different textures. The music at the bar was amazing all the popular English songs were playing on loop. The staff was courteous and the service was very prompt. A must go for all during the IPL season with their active offer of beer at Rs. 149/- and all snacks at Rs. 199/- only.